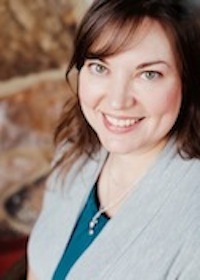 This month my assignment was a wonderful blog written by Loy of From Grandma Loy’s Kitchen. This blog has something for everyone. Delicious bars, cookies and brownies (Almond Joy Fudgies, PB & J Streusel Bars, and Glazed Pineapple Bars are just a few) and wonderful main dishes (Canton Crispy Chicken Stir Fry, Sweet and Sour Meatloaf and Curried Raspberry Catalina Pork Tenderlion). So yummy. What really caught my eye on Loy’s blog is all the Make you Own Groceries. You know how much I love to make your own things from scratch. Head over to Loy’s lovely blog and check it out. The recipe I ended up picking out was one my youngest daughter really wanted to make, Nutty Marshmallows. It is not hard in the least, hardly needs any ingredients, but it is delicious AND, the most important is a simple thing to make with your kids. Thank you, Loy, for the wonderful recipe and the memories I made this weekend with my daughter. Sprinkle these with a pinch of salt and they are a bit like salted nut rolls. Love it! optional, sprinkles, chopped chocolate, etc. Heat milk substitute in a small deep saucepan until very hot, but do not allow to boil. Place nuts in a shallow container and have any skrinkles you are using out and assessable. Place a plate to put the rolled marshmallows on close to the saucepan of hot milk substitute. With a pair of tongs, dip a marshmallow into the hot milk substitute. 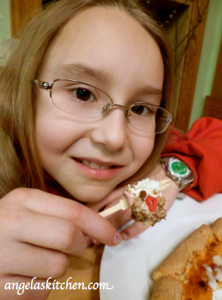 OR put a pop stick into the marshmallow and use the stick for dipping. Leave the marshmallow in for 10-15 seconds. Add large sprinkles if using, then put marshmallow on the ground nuts. 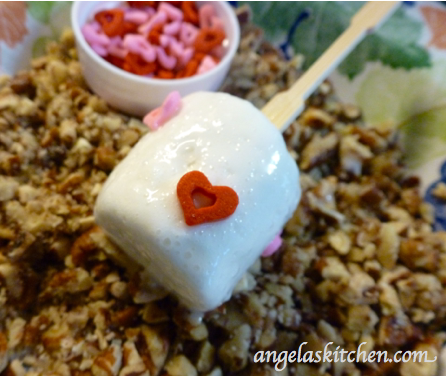 Use a spoon to drop nuts onto the top of the marshmallow then roll to completely cover with nuts. Set onto plate to cool. Makes about 36 marshmallows. Put in a single layer in a shallow container and cover to store. These are best eaten within two or three days of making. At our house they never last that long. This is such a special treat. Good choice. What a fun treat to make with the kids. 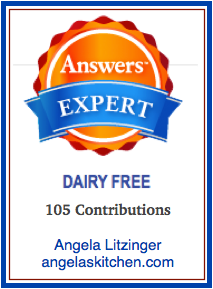 I am so glad that you enjoyed your visit to my blog, Angela. Thank you for your very kind words. 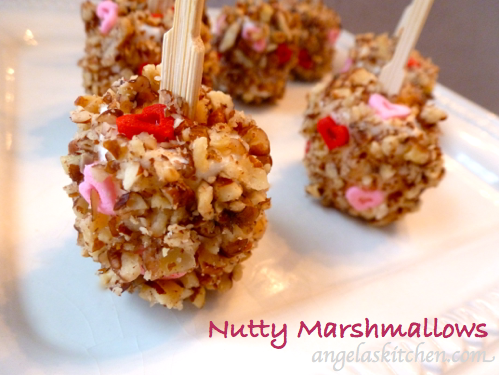 Nutty Marshmallows are one of my favorite treats. It is one of those recipes that you seem to see only once, although with the internet that is changing. I got the recipe from a dear ex-coworker many, many years ago. Although I am not dairy free, the idea of making these with coconut milk sounds wonderful. I'll bet almond milk would be good also. I am going to have the try both of these. Thanks for giving me a couple of new ideas. What a fun and interesting recipe! I am trying to think of some good nut-free alternatives, too, for my family, because I bet they'd love a fun marshmallow treat like these! They're perfect for Valentine's day! Maybe I'll surprise my daughter with a bouquet of them. Great SRC choice! These look like treats I would love to share with the homeschool kids in my group. Thanks so much for sharing an easy and yummy recipe. So cute! What a sweet idea for Valentine's day. How cool, I think I'm going to try these soon, and never mind the kids, these would be a fun grown up treat as well. I would never in a million years had thought to do this! Genius! and so easy! I'm definitely going to make these for Easter! What a great idea!